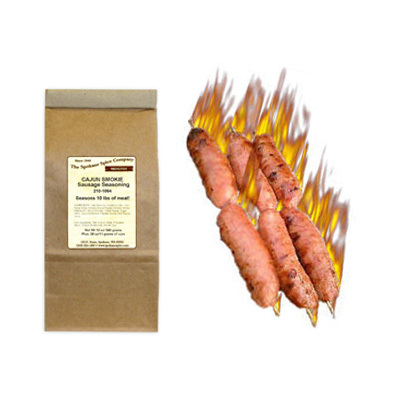 Similar to our original Smokie Sausage Seasoning but, with a definite New Orleans style bite! Grill or pan-fry on the side with red beans and rice, or put it on a poor-boy, or even in gumbo. Add it to smothered vegetables or use it as a breakfast sausage. It is fun to make yourself. This bag will make 10 pounds of wonderfully spicy Cajun style sausage. Nitrite cure is packaged separately.